Blaise has over 20 years of experience in the real estate business, and 19 of these have been with John Cannon Homes. A Florida resident for nearly 40 years, Blaise graduated from the University of Florida with both his Bachelor and Master’s degrees. Blaise resides in Bradenton with his wife of 30 years, Elizabeth, and their three children. Selling real estate and new home construction may be in Blaise's genes. His grandfather founded a real estate and construction company in Cleveland, Ohio in 1910. 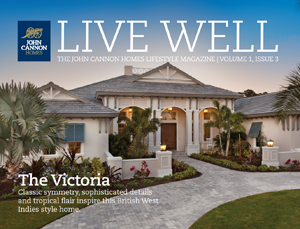 "He was born to sell new homes," John Cannon said. "He knows construction, empathizes with clients and hears what's important to them. He loves working with custom products." “There is no better career than helping clients to make their housing dreams a reality,” says Blaise. A native of Sarasota, Evan has wide and varied experience in residential as well as commercial construction. He started in the industry over 10 years ago in heavy equipment sales and customer service. He moved on to sales and project management with government, corporate and large residential installations of complete systems integration with structured wiring, security, audio, lighting and many other residential oriented applications. Evan's process knowledge from concept to completion and his commitment to customer service and satisfaction provides an exceptional experience for client's at John Cannon Homes. Bob Boyd is a proven professional with years of experience dealing directly with high-end clientele. He holds a Master’s degree from Saint Leo University. Bob is successful at selling new, custom luxury homes in the Sarasota area. His outgoing personality and effective communication skills are instrumental in understanding customer needs; sharing information, concepts, and ideas; and making the build process a fun and enjoyable experience. He is a military veteran, and has prior law enforcement and college teaching experience. Bob worked in The Pentagon for the Chief of Naval Operations personal staff, and he was selected to work for The President on a special White House commission. His well-rounded experience, exceptional communication ability, love of Florida living, and John Cannon Homes product knowledge, makes Bob an invaluable asset to the team. Jason is originally from Cincinnati, Ohio, but has lived in Southwest Florida for over 15 years. Working in different sales industries for over 14 years, he now enjoys helping people build dream homes as one of our Design Build|Specialists. Jason served in the US Navy, graduated from the University of Cincinnati and is raising his two beautiful children. He lives an active outdoor lifestyle which includes boating/sailing, scuba diving, spearfishing and golf. Jason is a true advocate for what beautiful Southwest Florida has to offer. His clients love working with him and many have become friends for life. Don grew up in Tidewater Virginia and received 2 undergraduate degrees from Old Dominion University and an MBA from the University of Cincinnati. He started his business career with Ford Motor Company and then moved to the retail arena where he was the managing partner of a large new vehicle automotive group. In 2003 he traded wheels for heels to help his identical twin daughters start a women's high-end evening and bridal shoe company, Shannon Britt Shoes. They designed the shoes, had them handmade in and around Florence, Italy and sold them worldwide. Don has lived in Florida for 18 years and lives with his wife, Paula. He has a son, twin daughters, and 3 granddaughters. He defines success as “helping others get what they want”. Chris Miller is a graduate of the University of North Carolina and holds a bachelor’s degree in Psychology. He is a genuine and caring professional with a diverse background. Right out of high school Chris landed himself in the Nation’s Capital working for several National Senators. He moved into the real estate market out of college and was awarded the Million Dollar Circle Award from the National Association of Home Builders within the first year. Chris has worked in the home building industry and as a licensed Realtor for 20 years. Chris has been a part of the Sarasota/Manatee community for so long he considers himself a native. His patient and attentive attitude helps him understand and predict the needs of his clients and his desire for transparency and honesty is an asset to all those who work with him. Chris is an avid dog lover and enjoys live music and travel. His extensive knowledge of the community brings great value to the team.